Cardano (ADA) is still (just) the seventh largest coin by market cap and is trading at $0.28. We’ve not covered Cardano much at Forex News Shop for good reason, it’s been a bit boring. It did the whole “pump and dump” thing over Christmas but now it seems some credible evolution and development is forecast. From a technical perspective, the price is currently forming a bullish Gartley pattern on the 4H chart for ADA/BTC, which looks like a strong buy for the short term anyway. However, the roadmap for growth looks promising as Cardano has quite a few interesting announcements to release that could drive the past beyond $1 in no time. Cardano’s main premise is around safety and security. A new paper wallet that will aim to eliminate the risk of online theft and wallet hacks is in the pipeline. These kinds of measures are aimed at traditional investors who do not fully understand the blockchain technology – its aim to target a demographic of investors that will value security not the risk. Simply, put the average crypto investor is an early adopter and lover of tech, anti-capitalist/establishment, young with a desire to get rich and with an element of risk appetite with the aim to get rich. If a coin or company can target the wealthy(er), elderly generation or are notoriously cash rich(er) yet passive their concerns on the safety, legitimacy and security of cryptocurrency then it could open a whole new pool of clients. The graph below shows that Cardano has been one of the best recovery stories of the 2018 bleed. The price looks to be stabilizing before an upcoming accumulation period leading up to the next bull run. The coin continues to perform exceptionally well against Bitcoin (BTC). Along with many other cryptos, they are striving for ADA/USD pairs on some exchanges. The first one of these will most likely be Binance as soon as it adds fiat currencies. Binance also seems to like Cardano (ADA) and already offers ADA/USDT pair. A major factor in the predicted price spike. Cardano made quite an exciting announcement this month. partnered up with South Korean mobile payment platform, Metaps. This is an indirect partnership via Emurgo but has huge potential for mass adoption of Cardano (ADA) in the Korean markets hence the $1 price prediction. The company, Metaplus Plus is reported to process more than 10 million transactions that take place from mobile to offline channels. The crucial bit about this announcement is that many reports are suggesting, this is the first instance of a cryptocurrency x mobile payments integration occurring within Asia. Now considering Asia as a continent is very much the capital of cryptocurrency, so to have this at the forefront of the most mature part of the crypto market is crucial. 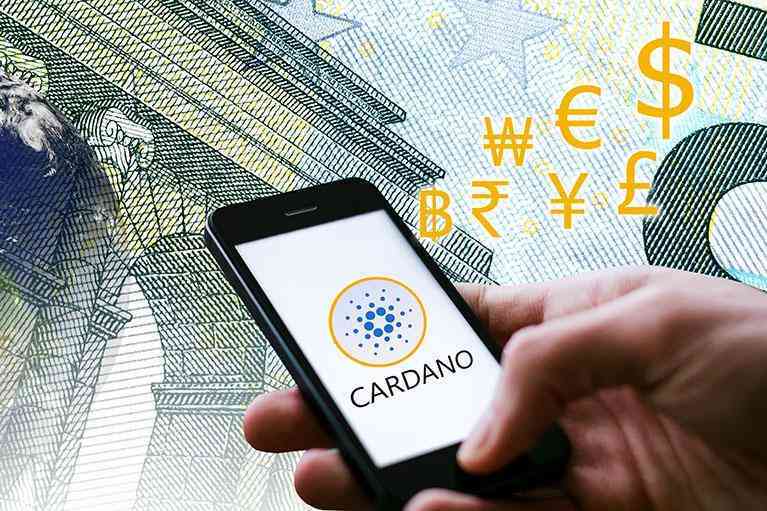 This partnership may see Cardano used as a money transfer payment option within Metaps Plus obviously giving a whole host of brand new customers access to handling Cardano and ADA currency. Not only will this boost Cardano trading volumes, increased interest should see its value skyrocket. Some reports suggest that Metaps Plus already has around 1Billion app downloads. Cardano won’t benefit from this as such until ADA is available within the app it must be said. The potential customer base, volume of transactions and usage easily gives the currency credibility and growth potential. Like all cryptocurrency commentators, it’s easy to get carried away by the predictions. There is ground that needs to be covered to go before we see Cardano hit $1.00. it does need more trading volume and customers to be realised from this sort of partnership but 3 times growth isn’t unrealistic. To play devil’s advocate, Altcoins like Ripple have not really progressed on the back of recent announcements so it may not be instantaneous. The investment in tech and partnerships is paying off and giving free marketing through commentary like this discussing its potential helps the cause. I think like most cryptocurrencies, similar to when you look back to the days and prices of 2010, we won’t believe how cheap they once were and that buying them would be a no-brainer.